PBR becomes Official Sponsor for MBR! PROFESSIONAL BULL RIDERS- PBR becomes official sponsors of the Miniature Bull Riders Association. The the PBR will become the presenting sponsor of the Miniature Bull Riders (MBR) Association. Owned by two-time PBR World Champion Chris Shivers in partnership with Cirildo and Lillie Leal, the MBR began in 2010 as a mini bull stock contracting business which supplied bulls to local rodeos, and quickly turned into a multi-event, mini bull riding circuit with more than 50 youth bull riders between the ages of 8-14 competing in events across the country. 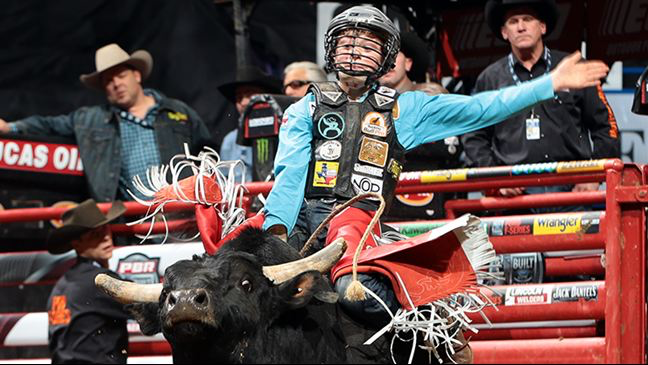 Two-time PBR World Champion Chris Shivers’ became part owner of the MBR in 2011 and looks at it as a way to begin cultivating future PBR talent; his son Brand competes on the circuit. PUEBLO, Colo. – As of Professional Bull Riders (PBR) Choctaw Casino Resort Iron Cowboy powered by Kawasaki Strong, taking place this weekend on Feb. 28 at AT&T Stadium (Arlington, Texas), the PBR will become the presenting sponsor of the Miniature Bull Riders (MBR) Association. The MBR’s Leal-Shivers Invitational on Saturday, Feb. 28 is one of two major stops on the 2015 MBR schedule, with its world championships in Las Vegas, taking place in conjunction with the PBR’s Built Ford Tough World Finals on Oct. 21-25, as the other. Other events on the MBR’s 2015 calendar include the recent PBR St. Louis, Missouri event (Feb. 13-15), and the upcoming PBR Colorado Springs, Colorado event on May 2-3 at World Arena. Logan White, son of 1999 PBR Rookie of the Year Mike White, also competes in the MBR. 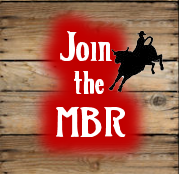 For more information on the MBR, visit www.gombr.com.